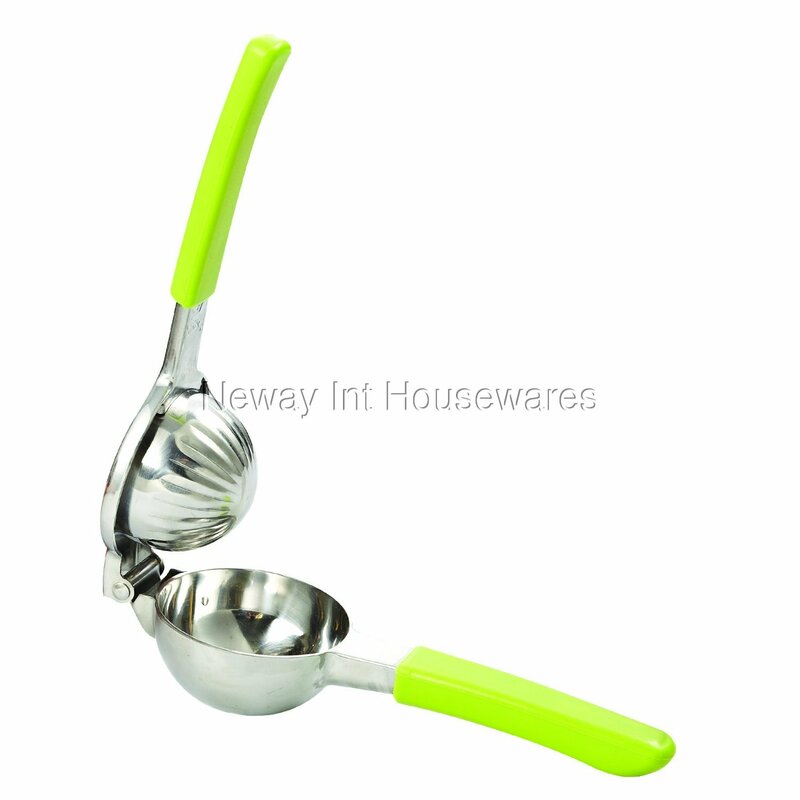 The Cook N Home Manual Citrus Hand Juicer, 8.5" by 5", Stainless Steel is made with stainless steel for durability. Bowl is 3 inches wide and 2 inches deep. Soft touch handle provides comfortable grip. Easy to clean by rinsing in water. Dishwasher safe.